Once product it installed, it works great. Fiber optic Video+Data Multiplexer/Converter-Transmitter+Receiver is a device to provide fiber optic transmission of video and data signals over fiber optic cables. 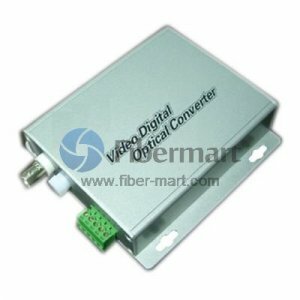 We supply 1, 2, 4, 8, 16, 24, 32 64 channels fiber video converter with return or bidirectional data . These Video & Data multiplexers are suitable for concentration management in 1U/2U/4U Racks, and we also can supply the rack chassis for you. Plug and Play design ensures the ease of installation and operation. Please feel free to contact us for all your video to fiber and other video conversion requirements.